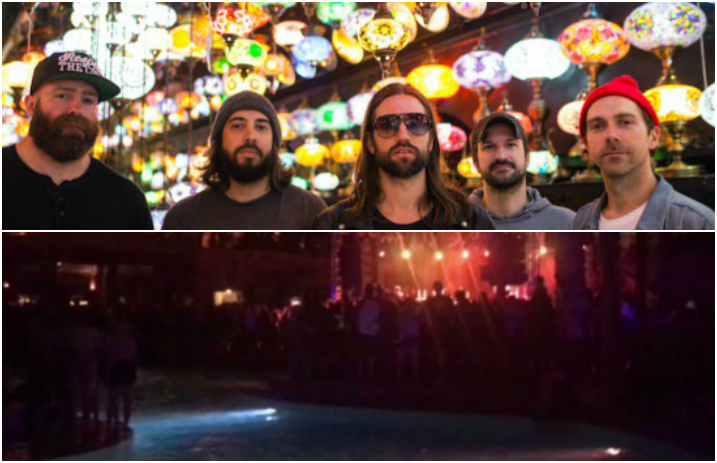 There’s no denying that an Every Time I Die show is going to be epic, especially when it’s poolside in Vegas. But when frontman Keith Buckley decides to “baptize” fans in a pool? That’s when you know the party has started. Give the epic video a watch below! Of course, as soon as the lights went down and the show started, things got wild. By wild, we mean Keith Buckley crowd surfed from the stage to the pool to “baptize the new Every Time I Die fans into the cool kids club,” as one fan Tweeted. Every Time I Die are currently touring with Taking Back Sunday and Modern Chemistry through August. All Get Out will be joining the tour on August 3. Check out their upcoming dates below! What are your thoughts on their epic Vegas performance? Let us know in the comments below!